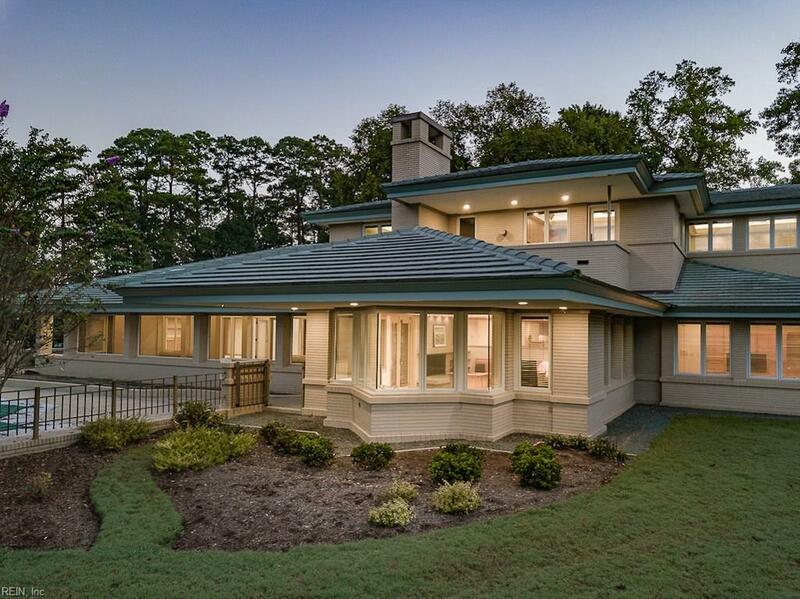 100 Moonlight Pt, Suffolk, VA 23434 (#10240601) :: Abbitt Realty Co. 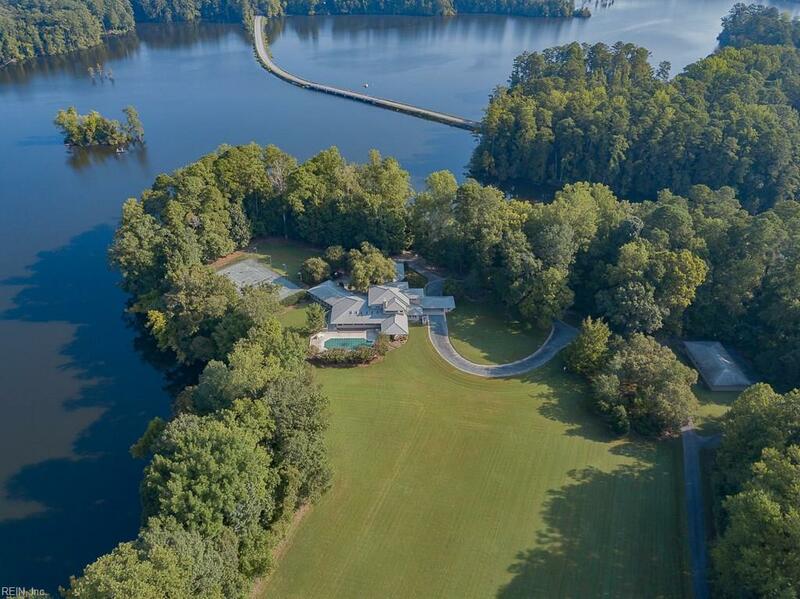 Magnificent, Frank Lloyd Wright-inspired home on a gorgeous, high, 7.64 acre peninsula on Lake Prince---deep water and dock! Beautiful vistas from every room! Mature forests! Abundant wildlife and fabulous fishing! Horses permitted. 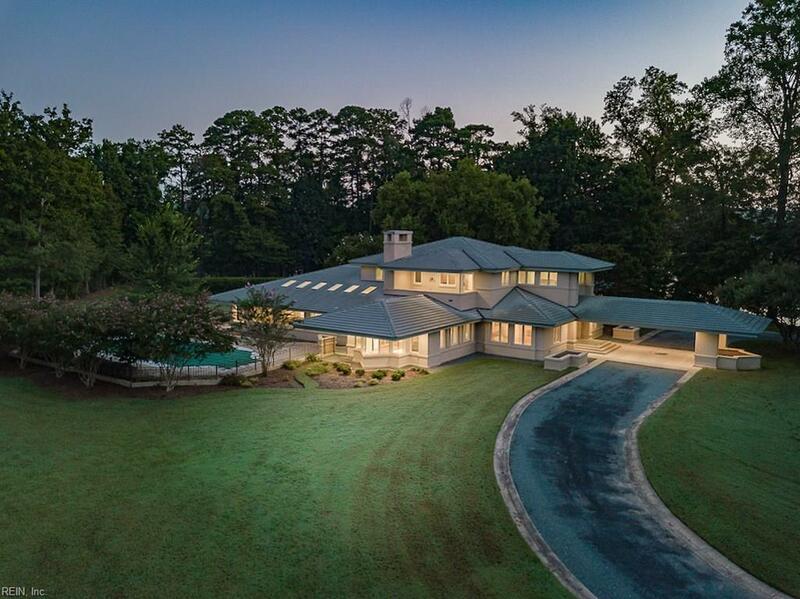 7,593 SF, 6 bedrooms, 7.5 baths. Custom built-in furniture and quarter-sawn white oak trim. Triple-glazed Pella windows and Hunter Douglas blinds. Extensive sound conditioning. Tankless Rennai water heaters (2) provide instant, endless hot water. Four zones of water-to-air heat pumps. Central vacuum system. Low maintenance concrete tile and brick exterior. Generac backup generator. 2,100 SF detached garage/workshop w heat and cooling. HydroCourt clay tennis court w lighting. In-ground pool. Only 35 minutes from Downtown Norfolk and 7 minutes from Nansemond-Suffolk Academy. This house is truly unique and built to the highest standards! Over $250,000 below city assessment!